With one week until sailing, let’s start this final round of our game with something extra special. 70000TONS OF METAL has always gone above and beyond to bring our Sailors exclusive, once in a lifetime shows, and this year will be no different. 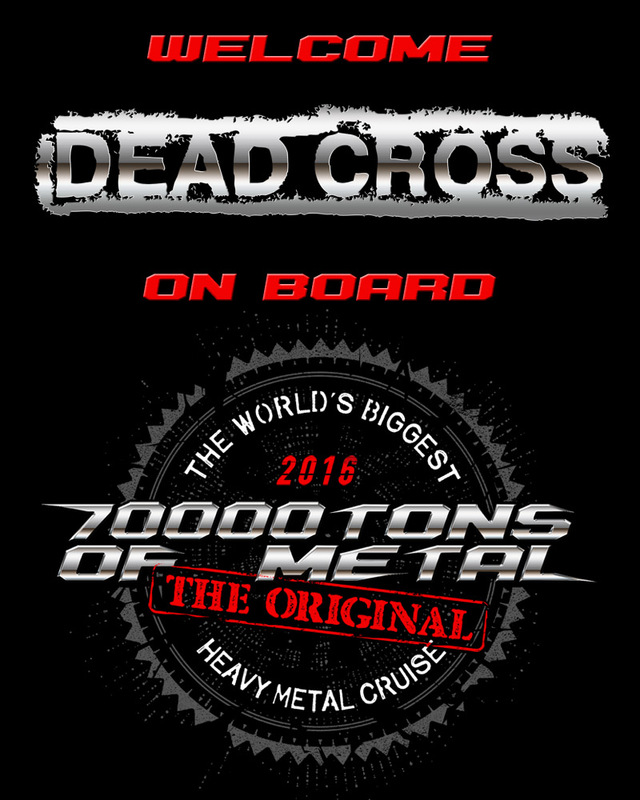 Please welcome former SLAYER drummer DAVE LOMBARDO who will be bringing his brand new band DEAD CROSS on board The Original, The World’s Biggest Heavy Metal Cruise! Having only played a couple of warm up shows in California, this will be the newly formed band’s first show in front of a Global audience! How awesome will it be to witness the Heavy Metal Maestro participate in JAMMING WITH WATERS IN INTERNATIONAL WATERS, The Official 70000TONS OF METAL All Star Jam? Next up… how about some more Death and Thrash from the Americas?